After Saturday's runoff elections, with three incumbents losing their seats, the City Council is poised to make transformative changes. This is a memo to the new Dallas City Council and the management team at City Hall. You now have the rare opportunity to transform a major American city. The long era of begging — and paying — companies and developers to move into the core city is over. The long slide in the city’s median household income can be stopped and reversed. Our urgent need for affordable housing can be met. The awful transit system can be fixed so people can get to their jobs. Public safety employees can be paid better wages, and our pension obligations can be met. The demographic surge is with you. Your job is to remove the barriers to growth and to prepare this city for the future. You’ve made a lot of promises to your districts. To keep those promises, you need money. You need a citywide strategy that produces tax revenue, leverages our major assets, reconnects and reinvigorates our neighborhoods, and provides more access to transit for your constituents. With that in the works, you will have the resources to tackle the particular problems in your district. In May of 2014, D Magazine devoted an entire issue to the redevelopment of the East End. A year later, TxDOT Commissioner Victor Vandergriff launched a detailed analysis of I-345, I-30, and other highway corridors that have torn apart the urban fabric. That study, called CityMAP, was released in its final form about a month ago. It gives three alternatives to the City Council on the gargantuan concrete slab known as I-345. To build I-345 in 1971 required bulldozing 52 blocks of Deep Ellum, a deep and lasting scar in the city’s physical history. 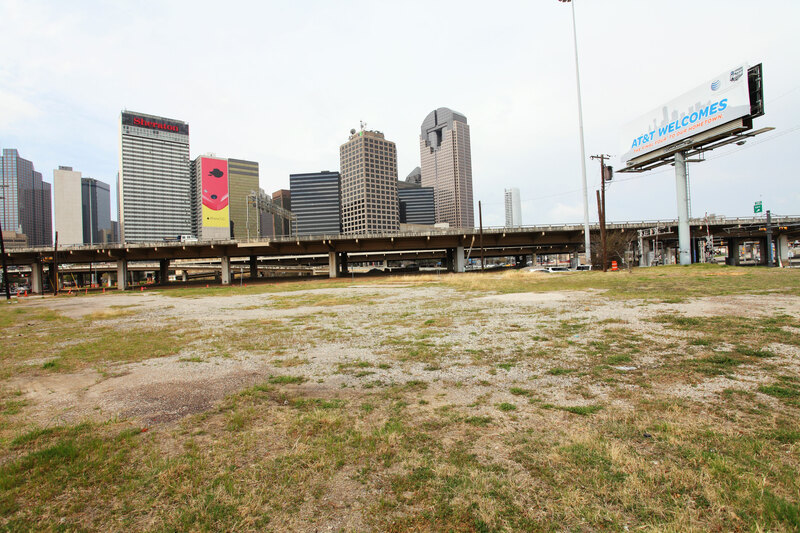 Replacing the highway with boulevards allows the city to redevelop 240 acres, producing $4.5 billion in taxable value — as much as downtown Dallas — and bringing $110 million a year to the city coffers. Moreover, the city owns 50 of those acres, and TxDOT owns another 50. By establishing an authority to control that acreage and a TIF over the entire area, the city could superintend the building of 10,000 units, most of which could be devoted to workforce housing with provisions for amenities such as parks, schools, shops, restaurants, movie theaters, and grocery stores. The proceeds from development of the TxDOT acreage — as high as half a billion dollars — could go toward rerouting I-30. CityMAP estimates 11,000 jobs would be created. The pressures of growth can be mitigated for longtime residents in South Dallas by capping property taxes for individual homeowners. TxDOT is willing to put up $30 million for a detailed design. Grab that money as fast as you can. And put up $5 million in the bond issue for a simultaneous and coordinated development plan. This is a golden moment of opportunity. Seize it. The first item on the agenda of the new City Council in August should be to withdraw 3C — otherwise known as the Trinity Tollway — from consideration by the Federal Highway Administration. Councilwoman Sandy Greyson has the resolution ready to go. Pass it. 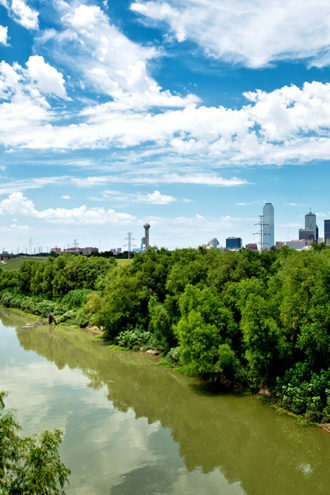 Let’s get on with the job of restoring the Trinity River to the natural wonder it can be. D Magazine’s Peter Simek has laid out the principles for how to get it done. 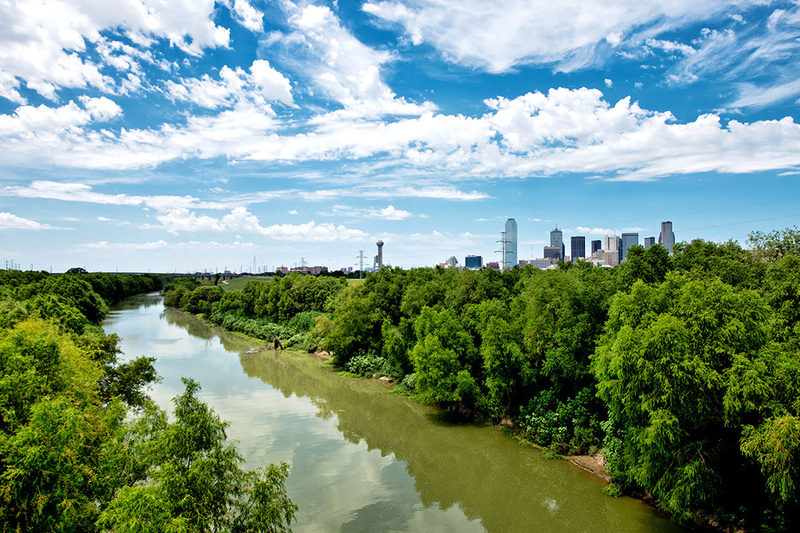 After several meetings with the mayor and with his principal designers — landscape architect Michael Van Valkenburgh and hydrologist Tim Dekker — we endorse their shared vision of natural restoration for the entire Trinity River watershed. City Hall has been an inept manager, often doing more harm than good. The mayor is right that a quasi-independent authority (as with the East End) needs to take charge of the entire Trinity watershed. There are three essential controls that have to be put in place. One, the authority and any nonprofit associated with it must submit its budget and compensation schedules annually to the City Council for approval. We do not need another Dallas Police and Fire Pension Board, State Fair of Texas, or DART that pursue their own agendas at the expense of the city. Two, while the boards of the authority and its nonprofit operating entity must be small enough to be effective, their members should be an even mix of business leaders experienced in public works, environmental experts, and neighborhood representatives. The Trinity Commons Foundation and the Trinity Trust (rebranded as the Trinity Park Conservancy) have been conspicuous failures. Nobody associated with either should be invited to join. Third, as with Houston’s Buffalo Bayou and, to some extent, our own Klyde Warren Park, a tax increment plan needs to be imposed over the entire system, so that all citizens benefit from the property appreciation arising from the city’s investment. That revenue must be dedicated to maintenance and to the extension of improvements to the entire watershed, as outlined by Kevin Sloan in D Magazine’s “Wild Dallas” March issue. Nothing will happen unless 3C is taken off the table. Do that first. Then take the mayor at his word. He says he wants a great natural park, and he has recruited a team capable of building it. Support him. Dallas is crying out for more density, more urban amenities, and more walkability. Every square inch of Uptown will soon be filled by new apartments and condos. The demand is high, and we do not have a city transit system to meet it. We desperately need a multi-modal system — trains, buses, trolleys, streetcars, dedicated bike lanes, rapid bus transit — to accommodate inner-city growth and get people to their jobs. Meanwhile, DART continues to pursue its decades-old strategy of laying rail and subsidizing suburban light rail ridership — while ridership continues to decline. DART now insists on building a $1.5 billion Cotton Belt line with borrowed money that it estimates will carry a mere 3,000 people a day. And its ridership estimates have historically been optimistic. 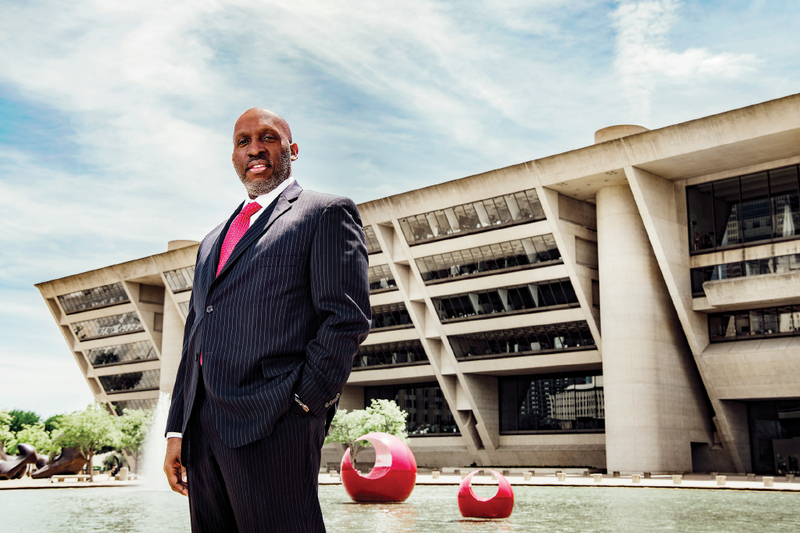 Dallas annually pays $260 million to DART, amounting to 48 percent of its budget. When Councilman Scott Griggs proposed diverting $30 million to $40 million of that contribution to help with the pension mess, we initially demurred. The city’s transit needs are too great to siphon off money. But that doesn’t mean Dallas should continue to subsidize its richer neighbors. If suburban riders don’t want to pay full freight to commute to Dallas for their jobs, they should stay home or move here. If DART wants to continue to build out its suburban system to the detriment of Dallas, it should go ahead and do it — and the suburbs should pay for it. So far the $5 billion Dallas has spent has produced a minimal — some would say invisible — return on investment. Dallas should say, Thanks but no thanks. The City Council has already made its priorities very clear, and the Cotton Belt is conspicuously not on the list. If DART bulls ahead with building it, the new City Council needs to seriously consider its options. The next regular session of the Legislature is in two years, plenty of time to design a city transit system, to negotiate a legal separation, and to prepare the Legislature to amend DART’s existing charter. If Councilman Lee Kleinman — DART’s water carrier on the City Council — wants to regain any credibility as the Council’s transportation chair, I advise him to send an urgent message to his DART friends that they need to cancel the Cotton Belt and instead respond to the city’s multi-modal needs. Kleinman didn’t have the votes when he tried to insert the Cotton Belt into the city’s priorities for DART. He didn’t have the votes when he opposed Patrick Kennedy’s election to the DART board. He didn’t have the votes when he tried to save DART board member Richard Carrizales from being booted for voting against the city on the Cotton Belt. He certainly won’t have the votes with the new City Council. Let me add another caveat that should be clearly understood. When the Council voted that D2 — the new downtown line — must be a subway, it was accommodating DART’s need for a second line to unsnarl its tracks when disruptions occur on the main line. DART is building that line — and I quote one of its executives — “to get people from Irving to Plano.” Dallas does not need D2. The suburbs do. If D2 is not constructed in a way that stimulates economic development in downtown Dallas and that does not interfere in any way with a new boulevard system for the East End, the City Council should retract is permission to build. DART has long been an economic repressor for this city, not an economic stimulant. It has the worst record of economic benefit of any transit system in the nation. It cannot even get Dallas citizens to work and back. The D2 money could instead be invested in mult-modal systems, and Dallas would be the better for it. The mayor has done a service to the city that D Magazine has long argued for. 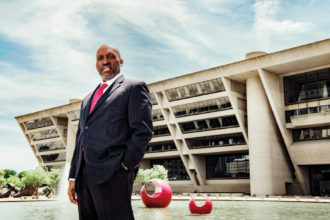 He has taken Fair Park out from under the control of City Hall and the Parks Department. We strongly endorse an independent operator for Fair Park whose mission is to remake its 277 acres into a lively, functioning, year-round amenity for the neighborhoods that surround it. The mayor stumbled out of the gate by designating a handpicked group under Walt Humann as the operator. Thanks to Councilman Philip Kingston, that problem has been corrected. There are now three bidders. But none of these bidders will succeed unless the city addresses the elephant in the room. That is the State Fair of Texas and its control over the park. The city must renegotiate the current lease with the State Fair to reduce its footprint to 90 acres or less, with a separate entrance. If the State Fair does not choose to renegotiate, its many documented violations of the lease are cause to terminate it. The city can then tell the State Fair what the new terms — and new footprint — will be. The mayor believes the winning bidder will be able to proceed in steps without clashing with the State Fair. He cites as an example the Automotive Building. The Fair’s car show is one of its major revenue sources (or so the mayor tells me). Why, he asks, get in a fight with the Fair over its use of the historic buildings until we have a plan for the entire historic area? When we have a plan, or a tenant, presumably it will produce enough revenue to compensate the Fair for moving. It’s a reasonable approach, until one considers the State Fair’s management philosophy, which is one of opacity, obfuscation, and self-aggrandizement. Negotiating piecemeal with the State Fair is a recipe for delay. Its management and board will stall, sue, propagandize — in short, do whatever it takes to resist change. The time to cut the cord is now. The objectives for Fair Park cannot be achieved unless the State Fair gets smaller, smarter, and more profitable per square foot. This can happen over a five-year timeline, but the timeline needs to be set out and agreed to before the city spends bond money on maintaining buildings the State Fair uses for its own purposes while ignoring its lease requirements. The new City Council should direct the City Attorney to open discussions with the State Fair to reduce its size, to withdraw from the historic district, to construct new fair buildings in its new perimeter, to erect multi-use parking structures, and to build a separate entrance. I have every confidence that the State Fair’s board will yell and scream. Before they get into too much of a lather, they should look at the data — or what little data the State Fair releases. (Even today, it is in court trying to prevent its attendance number from being made public.) The Fair would be better in a smaller space and with newly designed buildings. It could drastically increase its profit by reducing its costs. But the Fair has been run by the same group for 40 years, and it shows no signs of having learned anything new while the world around it has changed. It is a detriment to the neighborhoods around it, and its acres of concrete are a blight on the city. The City Council should send a clear message to the State Fair board: help us remake Fair Park for the people who live near it, or we will move you out of the way. New City Manager T.C. Broadnax and the people he has recruited are very impressive. The quality and devotion of our City Council has rarely been higher. Mayor Rawlings is a man of character and energy, and he now has the experience to lead with authority and grace. He has made some wrong turns, but who among us hasn’t? If on these four points, the mayor, the Council, and city management could stay united and focused, the city will regain everything it lost during the great suburban exodus of the 1970s and ’80s. There will be emergencies. There will be crises. There will be conflicts. There will be personal animosities, political machinations, divergent interests, and, most of all, arguments over money. But if this Council can launch the redevelopment of the East End, finally get the dirt flying for Trinity Park, reform our transit system, and redo Fair Park, it will accomplish a generational transfiguration of Dallas. This could very well be remembered as one of the great epochs in our city’s history.